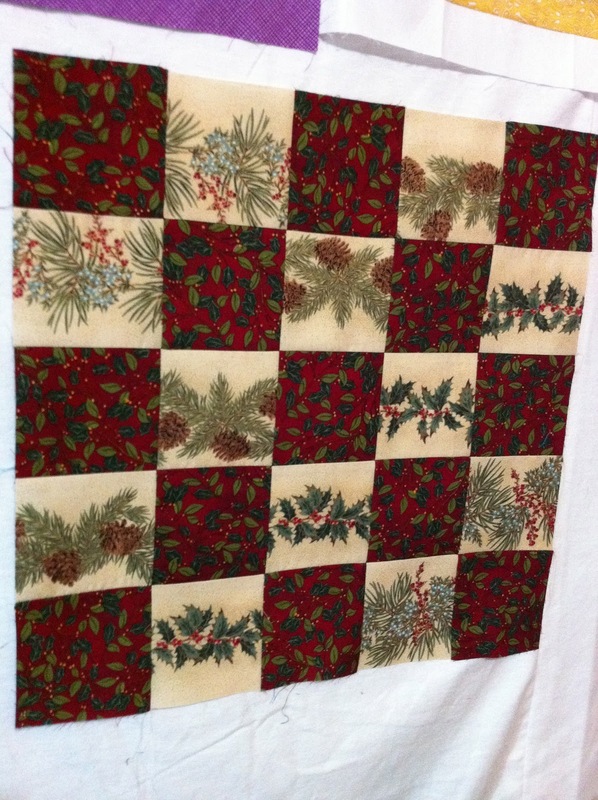 Magpie Quilts: It's Beginning to Feel Like Christmas! 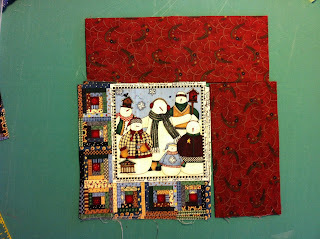 I have a shopping bag full of Christmas fabrics, some scraps, some larger pieces. Yesterday I took it with me to my sewing day at my friend, Marie's. I pulled everything out, matched up similar fabrics and began to plan some small Christmas-y projects that I could whip up quickly and get posted on Magpie Quilts on Etsy. 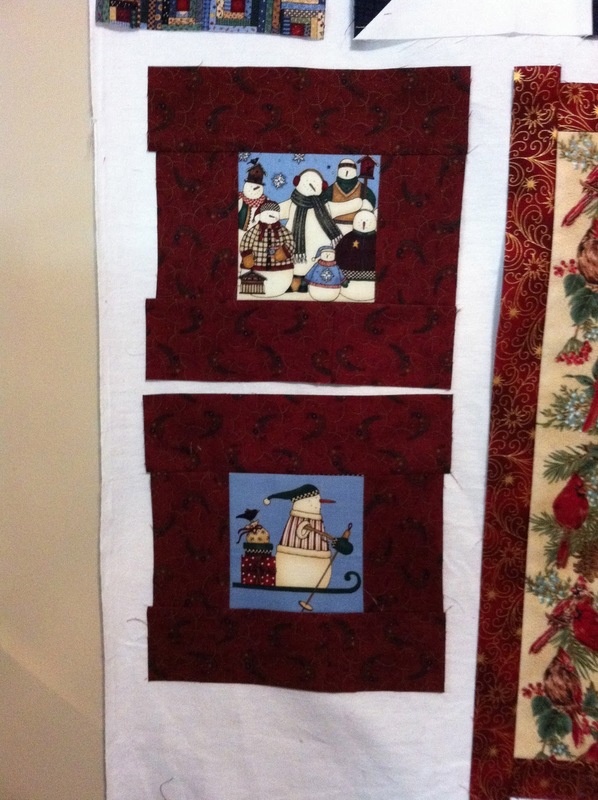 Debbie Mumm panel - future potholder? Jacob's Ladder Quilt Block - future table topper? More Debbie Mumm Snowmen - future potholders! 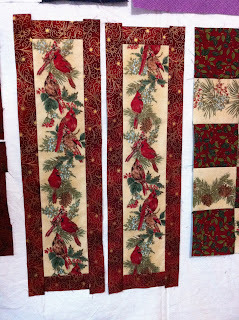 Red Cardinals - wallhangings - will probably make hangers to go with these too! 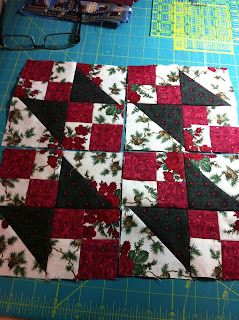 Christmas checkerboard - future table topper? And I still have a bag full of fabric! So watch over the next couple days for new quilted potholders, mug rugs, bell pull wallhangings and a couple table toppers. 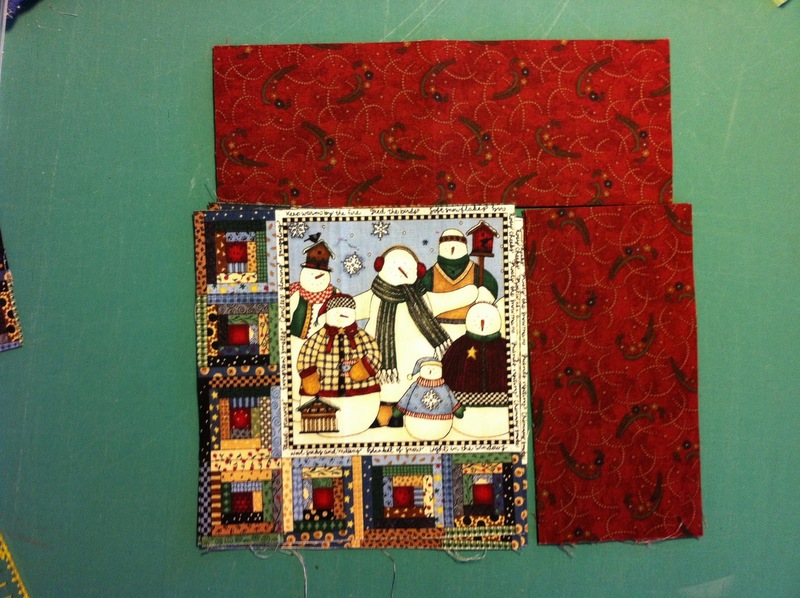 Ann you have some wonderful plans going there with all those great Christmas fabrics , have fun!